Both the standard Two-Way Roofrack mount and the Double Grooved Rack/Bar Mount come with 40mm bolts. 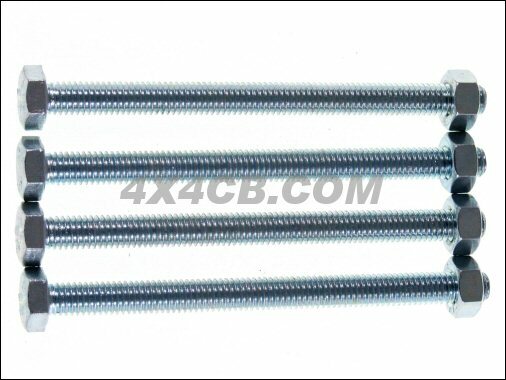 You can fit these mounts to wider bars etc by using longer bolts - this is a set of 4 high tensile steel 80mm bolts complete with high quality nuts, both are a higher grade steel than those originally supplied with the mounts. We recommend you "double up" the nuts using these as well as the ones originally supplied to double the retaining strength.